The Patented [US Patent No. 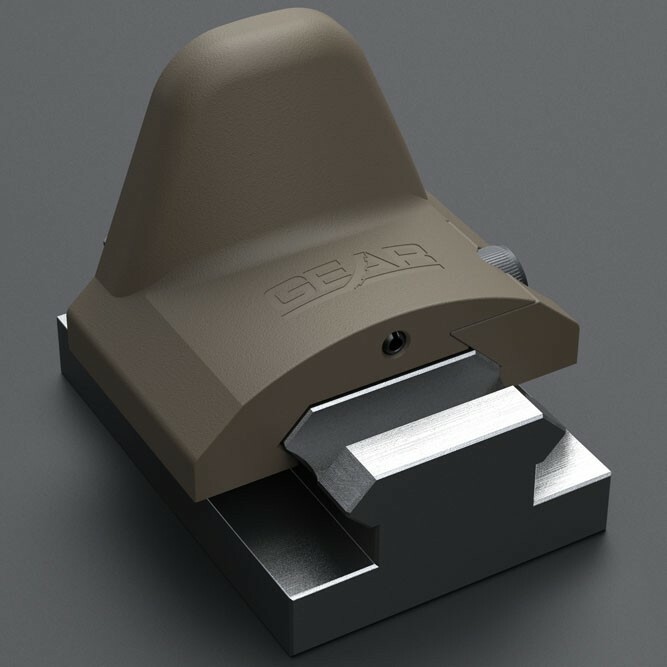 D671,611] Gear Sector™ Rail Mount Hand Stop was designed to provide a low profile solution for increased weapon control and ergonomics. Gear Sector designed them to fit perfectly flush with the Tango Down® rail panels to provide an uninterrupted rail space. They can be mounted anywhere on a Picatinny rail but work best when run in pairs. A bottom stop allows the weapon to be pulled into the shoulder pocket and a side mounted stop indexes perfectly in the web of your support hand for proper placement behind a weapon mounted flashlight. It comes complete with all mounting hardware, screws, hex keys, and Vibra-Tite® to make installation fast and easy. Mod 3 components feature a net 30% reduction in weight as well as an 1144 StressProof® heat treated full width steel index.